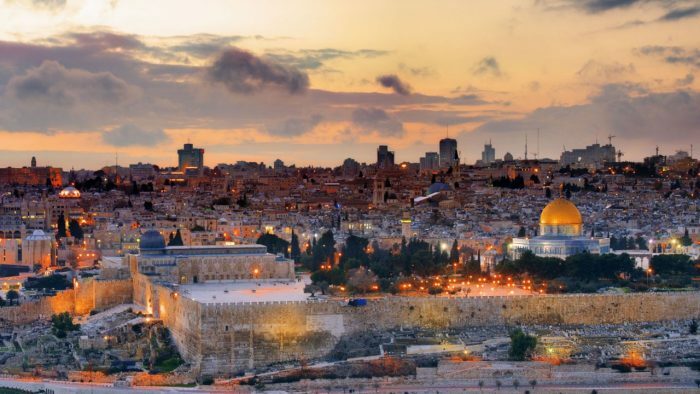 Jerusalem, Israel is one of the oldest cities in the world, and a religious center for Judaism, Christianity, and Islam. The city is also a major tourist site. 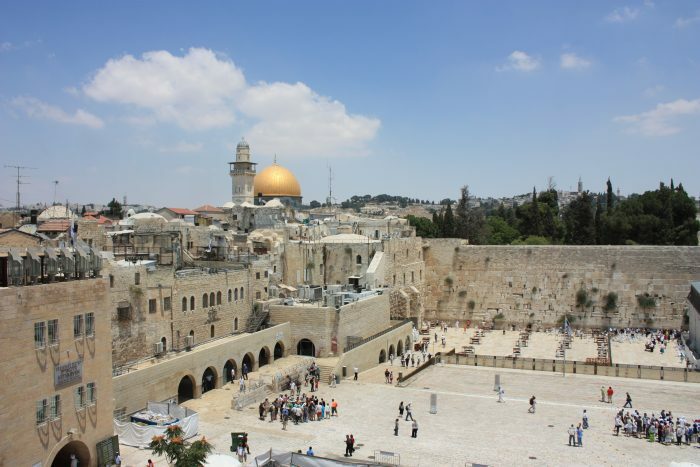 The well preserved Old City (east Jerusalem), while not even 0.9 km sq., is the location of the Temple Mount, Western Wall, Church of the Holy Sepulchre, Dome of the Rock, the Garden Tomb, and the al-Asqua Mosque. The western part of the city is where the bulk of the residents live, and is home to Israel’s main government buildings. We would not consider Jerusalem a major running city. You’ll see fewer joggers here than many other world cities. We would not recommend running in the Old City. The streets are narrow, crowded, and for reasons of religion and respect, running in the Old City might not be appropriate. But there is some good running to be had in Jerusalem! One can piece together a good ‘tourist’ run of some of the major sites, using busy Hebron Rd. as an anchor, and heading up to Hebrew University and Mount Scopus. 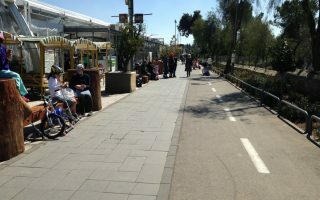 This is part of the Jerusalem Marathon route. There is also a wonderful Promenade (Tayelet), with great views of the Old City. The best off-road run is the Rekevet, which is a 3.5 mile ‘rail trail’ accessible from the central part of Jerusalem. 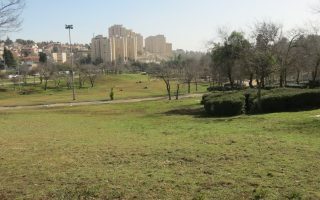 The best green spaces for running are the centrally located Sacher Park, and the Jerusalem Forest, which is a few km west of the Old City and has some good running trails and roads. Jerusalem is well served by buses. A new light rail system runs to Mt. Herzl (a good running spot), and to Jerusalem. A few particular notes. We also recommend to be careful about running in certain neighborhoods, for both safety and religious respect concerns. Please consult a guide book or speak with your hotel concierge. Also, Jerusalem is crowded and busy with cars, and some roads have narrow sidewalks or no sidewalks at all. Use caution. 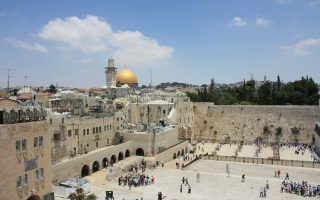 Our particular thanks to Mollie Feldman, and her Treasure Your Being blog, for her help with this Jerusalem running post. 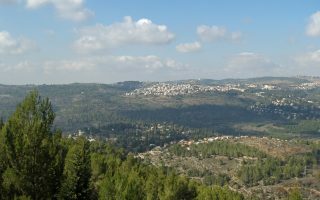 A 7-mile Jerusalem ‘tourist’ run. Busy Hebron Rd., outskirts of the Old City, up to Hebrew University and Mount Scopus, returning through Damascus Gate. 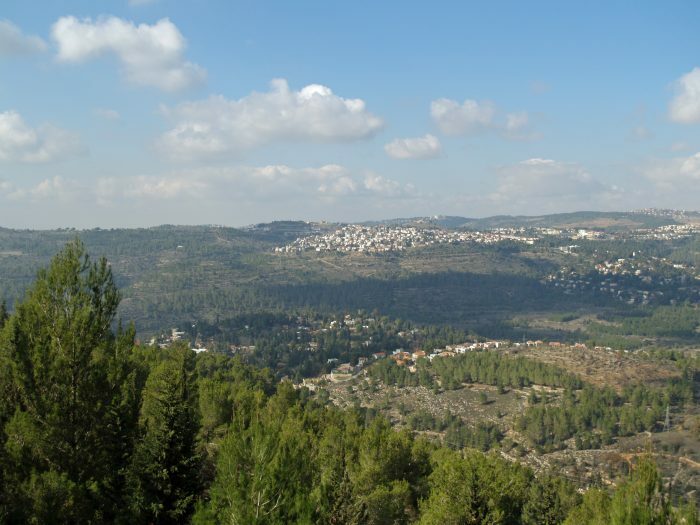 A 1.5 mile hillside promenade, with great views of the Jerusalem and the Old City. Part of path is cobblestone. The best off-road running option in Jerusalem. The Revket, or Rail Trail, runs 3.5 miles from the central city to the Malcha Mall. Separate sections for pedestrians & bikers. The most significant green space in the area. About 3km west of the city. Numerous road and trail options. The forest houses the Yad Vashem Holocaust Memorial, and is near Mt. Herzl. 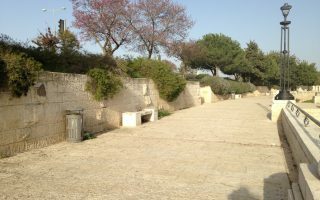 Sacher Park (Gan Sacher) is the largest park in Jerusalem. Our 3.4 mile route features the best of the park, and a tour by the Israel Knesset, Israel Museum, and the Supreme Court. A good destination run for those desiring trails and shade. 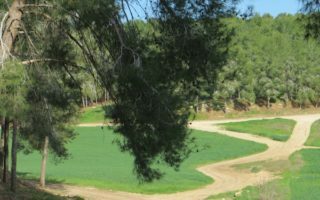 Located halfway between Jerusalem and Tel Aviv, at 5,000 acres there are miles of trails, including 32 km of bike trails suitable for running. There are not any dedicated running stores in Jerusalem that we are aware of. You are likely to find running necessities in one of the two major malls in Jerusalem: the Malcha (Azrieli) Mall (near the Malcha Train Station) and the Mamilla Mall (near the Old City). The running scene in Israel continues to grow and there are many running events in different parts of the country. Article on Israel’s most important running events. Jerusalem Marathon. March. This has become a major international marathon event, with 30,000 runners. There are also 5k, 10k, and half-marathon options. Jerusalem Night Run. Has been run annually. Running at night in Jerusalem is special.